Sandy came. Sandy destroyed. And now New York must recover. As I remember all the fuss around Irene last year, I must say that, this year, Sandy was the real thing. After 3 years in New York, I've never seen so much damage done in the city. I was lucky enough to keep both power and Internet yesterday and through the night. So I was able to keep one eye on the news on TV and the other eye on my computer screen, reading my fellow New Yorkers' Facebook statuses, following their tweets, and watching impressive pictures and videos as they were posted through the night. 14th street and Avenue C.
And it made me think. 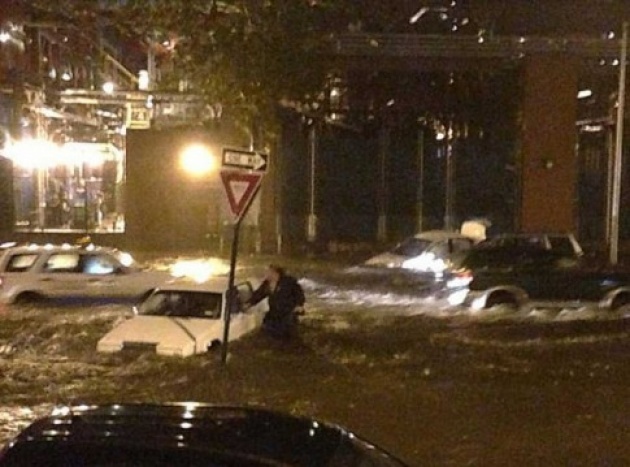 The way New Yorkers and the rest of the world lived "Sandy night" wouldn't have been the same without social media. First, it gave people the ability to give reassuring news to their friends and family inside and out of the city. It also gave New Yorkers the occasion to document Sandy and its damages live. From pictures of flooded downtown Manhattan and fallen trees in Queens to videos of the Con ED explosion or the building facade collapse in Chelsea, I was more aware of the latest news on Facebook and Twitter than I was via TV news. Facebookers and Twitters are the new live reporters. But social media can also be deceiving. The news there go so fast that you have to be careful and distinguish right from wrong. 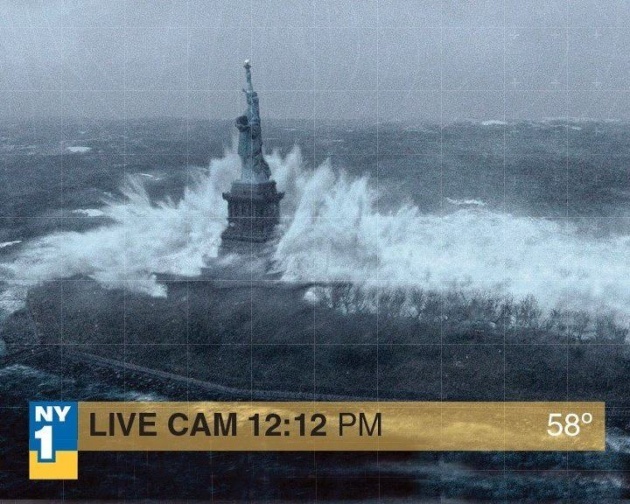 Some fake pictures of Sandy were circulated early yesterday, showing Manhattan under a remake of the Day After Tomorrow. Social media can also be the place where stars are born. Go to Twitter and enter #lydiacallis and you'll see what I'm talking about. 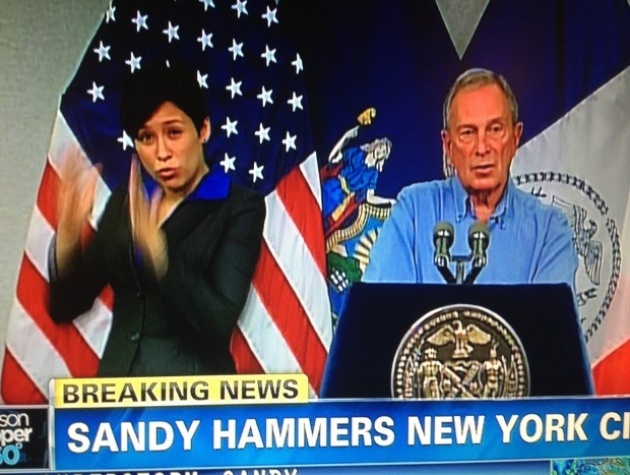 Lydia Callis is Mayor Bloomberg's sign language interpretor and last night, during the Mayor's press conference, she stole the spotlight away from him. Hypnotizing, mesmerizing, and awesome were among the adjectives that flooded Twitter minutes after the press conference along with her hashtag. Think about that. Without social media, she would probably have appeared in a few amused texts between friends, and she would probably have had her article on the New York Mag, but it's 2012, and thanks to Facebook and Twitter, she became a social media sensation.